The Union Public Service Commission (UPSC) has declared the UPSC Civil Services prelims 2017 written examination result on July 27, 2017. 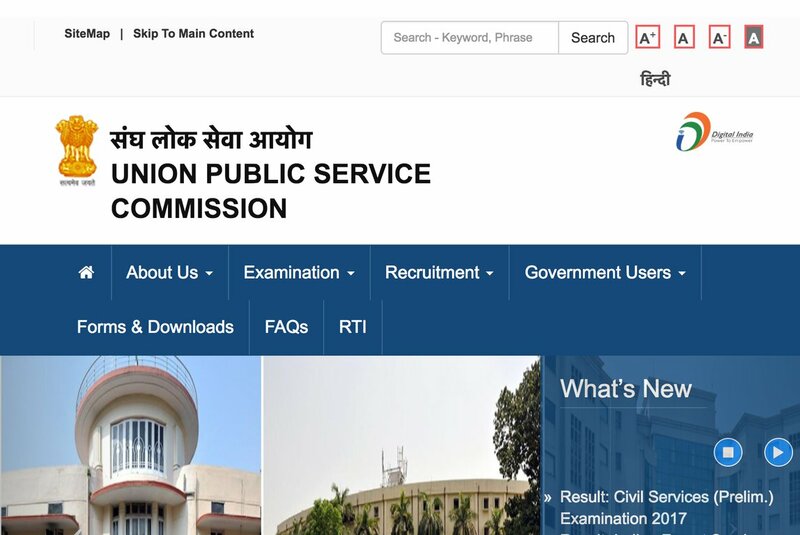 Clearing the UPSC Civil Services prelims examination , which was held on June 18, will mean that the candidates will qualify for the UPSC Civil Services mains examination. The selected candidates will have to take the Civivl Services Mains Examination 2017 starting from October 28. Candidates selected in the UPSC Civil Services prelims examination will have to look for their roll number in the PDF file. Candidates can type Ctrl+F and enter their roll number in the PDF file to find out if they have been selected or not. Those candidates who have been selected for the UPSC Civil Services mains written examination 2017, will have to fill up a DAF (Detailed Application Form) online and submit the same from August 17 till August 31. Along with the Civil Services Prelims Result 2017, UPSC has also declared the Indian Forest Service prelims result 2017. Those candidates, who have been selected need to fill up DAF online and submit the same from September 7 till September 20. The admit card, marks obtained the in Civil Services and Indian Forest Service exam and cut off marks will be made available on the official website of UPSC in due course of time.